Old Town Spring is the site of an old settler’s camp from the late 1870s. It is located in Spring, Texas, approximately 25 miles north of Houston. Old Town Spring is a historical sight, as well as a hub for various businesses, merchants, and local events. The area is managed by a non-profit organization called the Spring Preservation League. 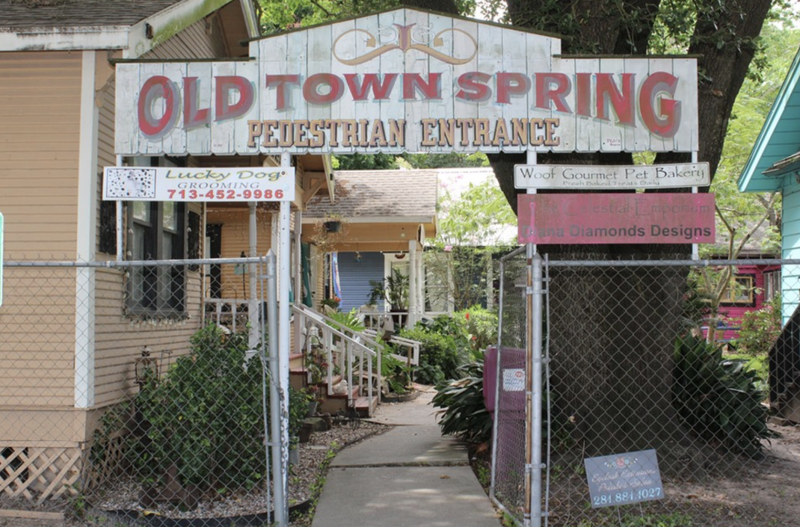 At its roots, Old Town Spring is an attempt to preserve a slice of history. The area on which Old Town Spring is founded was once land of the Orcoquisac tribe. Trade posts were set up in the area for French and Spanish settlers to trade with the Indigenous Americans. As time moved on, more and more settlers moved into the area and after Texas won its independence from Mexico in 1836 colonialization flourished. Despite this abundance of colonization, it wasn’t until the 1970s that the town was officially named. Railroad workers began expanding tracks into Texas after the Civil War. After a particularly harsh winter, the worker’s came into the area and called it Camp Spring in celebration that the winter had passed. Spring officially became a settlement and base of operations for the railroad workers in 1873. The Spring area saw relative prosperity until the 1920s. At that point, the railroad moved their base of operations, and business suffered. Spring became a small settlement, and that is how it remained until the late 60’s. The oil boom in Houston brought additional economic growth to the area, which revitalized Spring. Old Town Spring’s goal is to maintain this rich history. Since that time, Spring has become a hot spot for business and festivities. As of June 2018, there were 169 different businesses listed as located in the Old Spring area offering an abundant array of goods and services, along with museums showcasing its rich history. Additionally, Old Town Spring hosts multiple festivals a year, including the annual Texas Crawfish Festival.